As more and more people in the UK slide into debt that they find themselves unable to get out of, there has been a rise in the amount of people entering into Individual Voluntary Arrangements (IVAs). An IVA is a legal way of reducing the amount that you owe to creditors and in many cases it’s the best option for home-owners who can afford to make a monthly payment towards their debts of £200 or over as unlike bankruptcy, you may be able to keep your home. To be eligible for an IVA, you must have a debt of more than £15,000 of unsecured debt to more than 2 individual companies. Do not confuse a legally binding IVA with debt consolidation or debt management loans that offer ‘one monthly payment’ – they are completely different things. Why Enter into an IVA? A formal procedure carried out by licensed professional, an IVA allows you to make arrangements with your creditors to pay back a reduced payment towards the total amount that you owe, so that you can pay off a percentage of what you owe them within an agreed time period (usually 5 years). 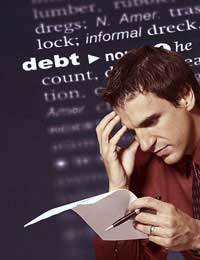 Interest charges are stopped and your creditors are not allowed to harass you for payment. After you have completed your agreed repayments, your debt will be marked as settled, even though you haven't paid back the full amount you owed. Why would a Creditor Accept an IVA if it means they'll get Less Money? Usually companies that are owed money will perform risk assessments. When an IVA is presented, they have to weigh up the odds - is it better to receive a percentage of a debt or none of it at all? That's the question a creditor faces when presented with an IVA request - the debtor may well need to go bankrupt if the creditors don't accept their offer. Those with IVAs are automatically excluded from some roles - such as trustees, and in some cases it is a stipulation of your working contract that you are not bankrupt or in an IVA. Check your employment contract to make sure this doesn't affect you or your current position. Your details will also be entered onto the Individual Insolvency Register which will contain your name, address and details of the arrangement - this information is then searchable via fax, post or over the Internet, so anyone can find out your financial status with just a few clicks. Taking all this into account it’s clear that while an IVA can be the best way out of insurmountable debt - but it is not a step to be taken lightly. You need to have a regular income and be able to provide a breakdown that shows you can still afford your living expenses if you enter into the IVA. There's no point in starting something that is destined to fail and will result in your eventual bankruptcy. If you feel you fit the criteria, and understand the terms and conditions surrounding a voluntary arrangement then you should take independent financial advice on whether or not you should proceed with an IVA application with a licensed professional.